The hamburger. Cheeseburger. Bacon cheeseburger. Turkey burger. Bison burger. Veggie burger. Cheeseburger Pizza. Pizza burger. People love their burgers. Everyone has their favorite burger and their favorite burger place. Whether it’s the meat or the toppings or the bun or the presentation…something about your favorite burger makes it unique from one place to the next. Here’s our staff&apos;s favorite places to find a burger in the Cumberland Valley. 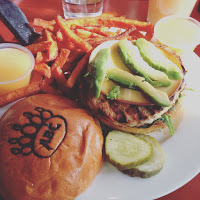 The Appalachian thru-hiker turkey burger at Appalachian Brewing Company is my favorite…it&apos;s big, juicy and tasty. It’s layered with spinach, melted gouda cheese (yum) and avocado. An added bonus, and perhaps what makes the burger, is the honey ginger mayonnaise – it is so good. I always order it on the side and ask for extra to dip my fries in. The sweet potato fries pair really nice with it. Is it really a surprise that Americans eat nearly 50 billion burgers a year, which translates to three burgers a week for every single person in the United States? Well, that was the statistic shared by Huffington Post in October 2013. I must admit this burger lover isn’t surprised, but I do fall short of the statistic only averaging 2 per month. This shortfall does make my burger choices dining difficult at times especially when on would like spread the wealth and visit different restaurants from time to time. 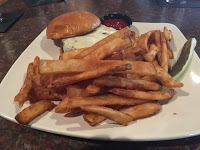 However when it comes right down to it, I like comfort so I always return to one of my favorites, the Boursin Burger, at Brewhouse Grille in Camp Hill. 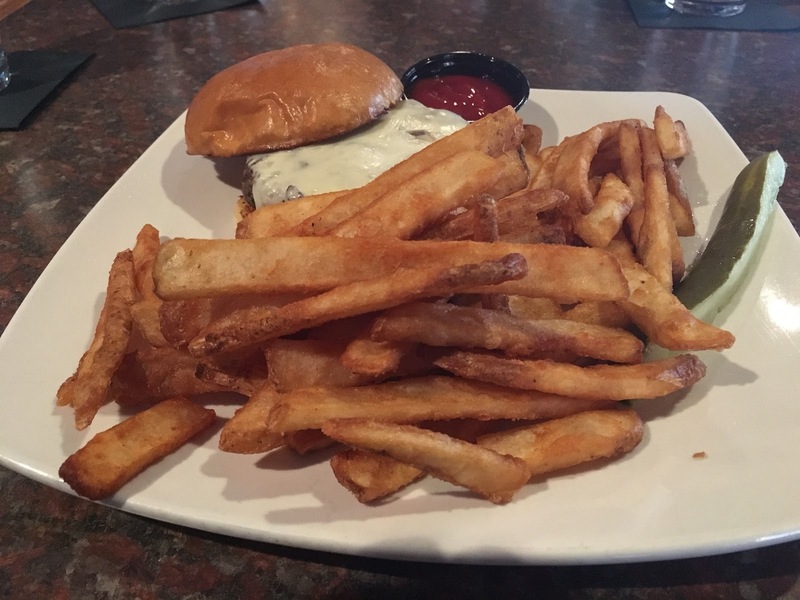 The Brewhouse Grille offers a comfortable atmosphere with indoor and outdoor seating when the weather is suitable in PA and we’re headed in that direction. They always grill my burger perfectly for my taste, medium well, and the blending of the cheese and caramelized onions on top gives it great flavor. Now I must warn you a few napkins may be in order, but it’s worth the clean-up. Pair your burger with a side salad and you may feel a little healthier, as I do every time I indulge. 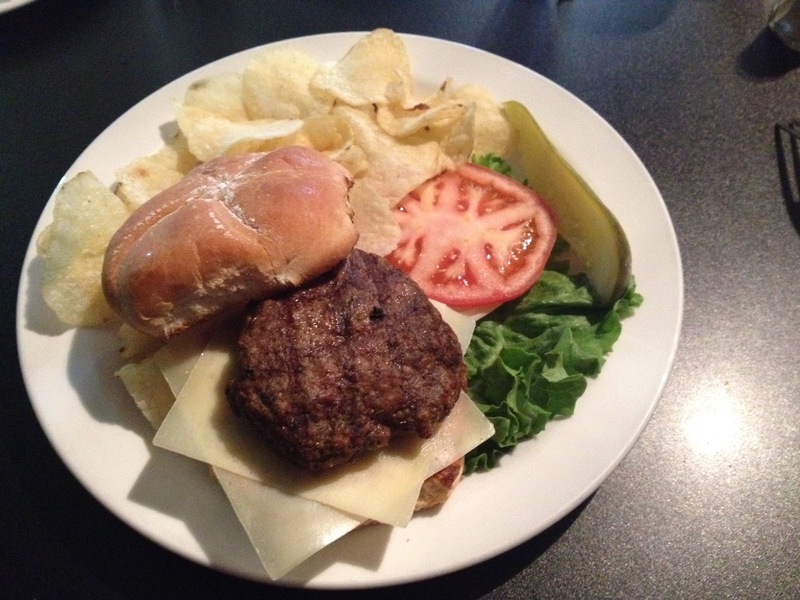 So mix up your next three a week burger choice and try my favorite or find your favorite at Brewhouse Grille. One of my favorite burgers in Cumberland Valley is the Lamb Burger from Café Bruges. Often lost on their popular menu including fritas, crepes and waffles, this unassuming burger comes on a toasted roll with gruyere cheese and your choice of sauce. The simplicity is what really hits the spot, as the perfectly seasoned lamb hits the taste buds at full force. You’ll want to eat this burger slow, and savor each delicious bite. One of my favorite places to eat in Shippensburg is CJ’s American Pub & Grill. I like the casual atmosphere and friendly and quick service. You can choose to eat in the bar area or in the dining room. At most restaurants, my default order is the Crab Cake. But something about CJ’s makes we almost always want to order one of their burgers. They are very filling (1/2 pound) and always cooked to perfection. 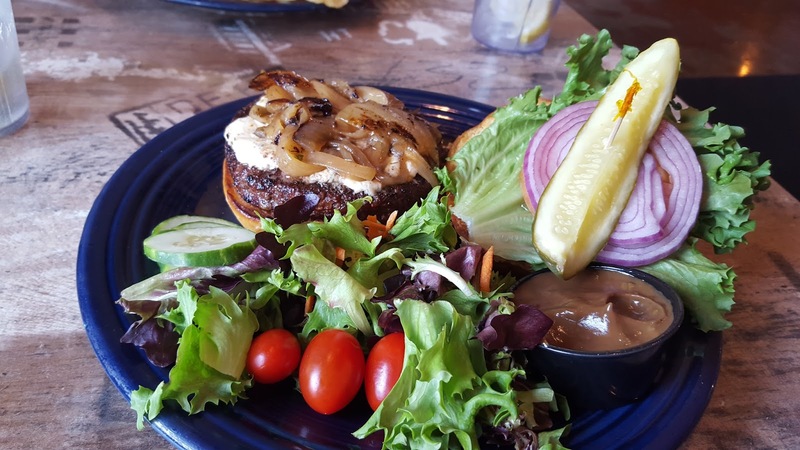 CJ’s Gourmet Burger is an ideal choice if you are looking for a classic cheeseburger, but other delicious options include The Philly Burger (with sautéed peppers & onions plus provolone) or the ShippensBurger (with sautéed mushrooms, onion straws, crumbled blue cheese, and CJ’s sauce). The burgers come with house-made chips, fries or sweet potato fries. You can’t go wrong with any of these options. My suggestion: everyone in your party chooses a different option and then you all share. Be sure to wash down your meal with one of the local draft beers always on tap. Every so often my hunger yearns for a delicious hamburger. On a recent visit to Mechanicsburg, I decided to try the Colony Restaurant for lunch. After reviewing a large variety of menu items, decided to try their hamburger. I was not disappointed. The hamburger was cooked to perfection and was still very juicy and flavorful since I like medium well. The toppings - lettuce (crispy), tomato (2 slices), and pickles (crispy) were tasty and the roll was flavorful and fresh. This made for a great meal and a happy customer. Will definitely be returning. There are a lot of fancy and unique burger options in Cumberland Valley, but when it comes down to a basic cheeseburger my favorite is the Flinchburger from Flinchy’s in Camp Hill. It doesn’t have a lot of frills, but it’s very tasty and satisfying. Flinchy’s is a great place to go for all your American favorites, including another favorite of mine, their crispy wings with Asian sauce. 1794 Whiskey Rebellion has been open for a little over a year, but they’ve done enough to make an impression on me (and many others, as they’re ranked the #1 restaurant in Carlisle according to Trip Advisor). While I could make a case for Appalachian Brewing Company and CJ’s (both previously mentioned), the Molly Burger takes top prize from me. The Molly Burger is a woodfired, 8 oz. burger, topped with soft cow’s cheese, house-cut Amish bacon, kale (I don’t really do kale…so I had them hold that) on a broche roll. If you’re wanting a little more, you can add a duck egg for $2. Chef Jeff Utzman’s menu vision for 1794 is focused ingredients from local farms, and that’s evident in the Molly Burger. The burger is juicy and the bacon is unlike most you’ll find at other restaurants. I’m always a fan of a broche bun and it’s done well here.